No fillers and no crash! 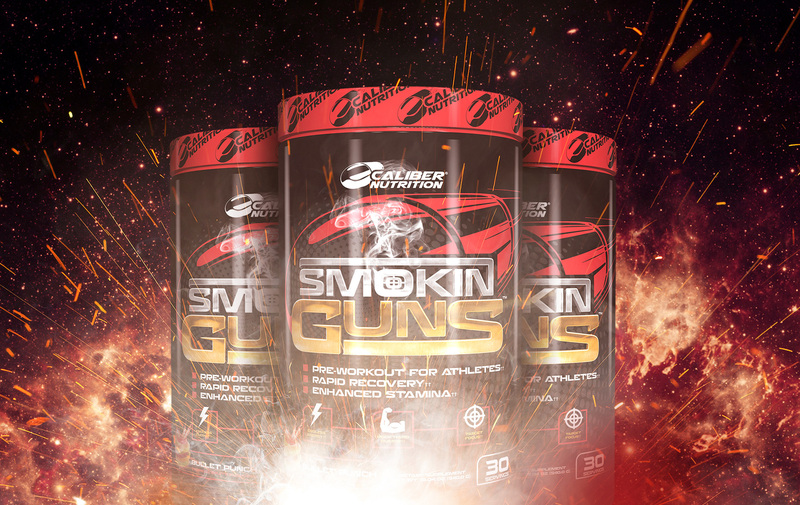 Smokin Guns™ contains 18 grams of synergistic ingredients to get you in the zone. Through months of tedious formulation, Caliber Nutrition® has found the perfect set of ingredients at efficacious doses that synergistically maximum your workouts without sacrifice. vessels dilate, the flow of blood is increased due to a decrease in vascular resistance. We will only send you emails when we have something amazing to tell you. Sign up and Stay Connected! † These statements have not been evaluated by the Food and Drug Administration. This product is not intended to diagnose, treat, cure, or prevent disease.